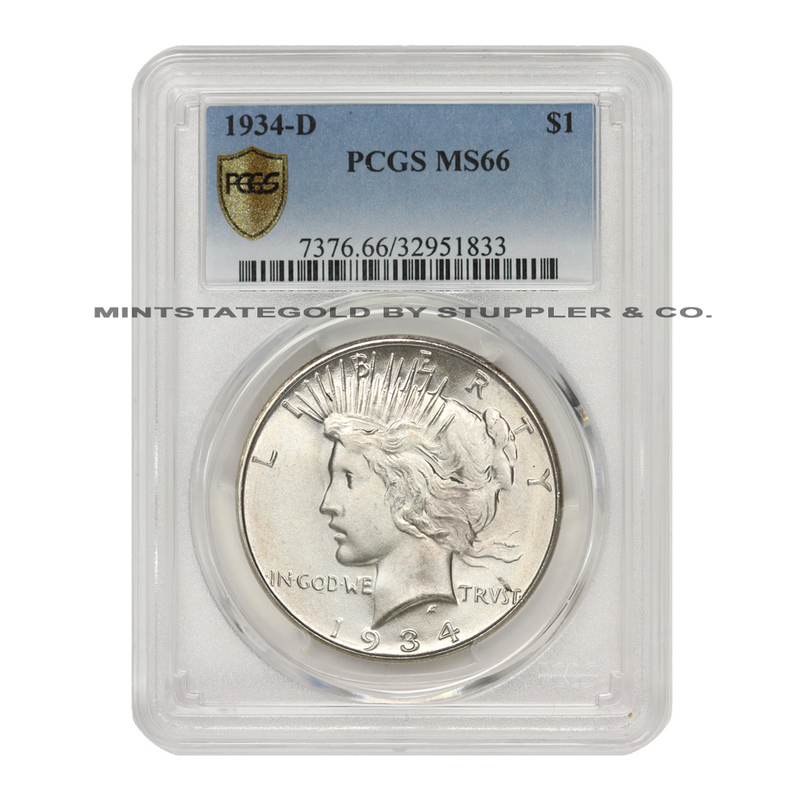 Presenting a 1934-D $1 Peace Dollar that has received the Gem grade of MS66 from PCGS. This Silver Dollar has beautiful fields that shine with a satiny finish and full cartwheel. The depiction of Liberty is distinguished by sharp devices that gleam with dazzling luster. 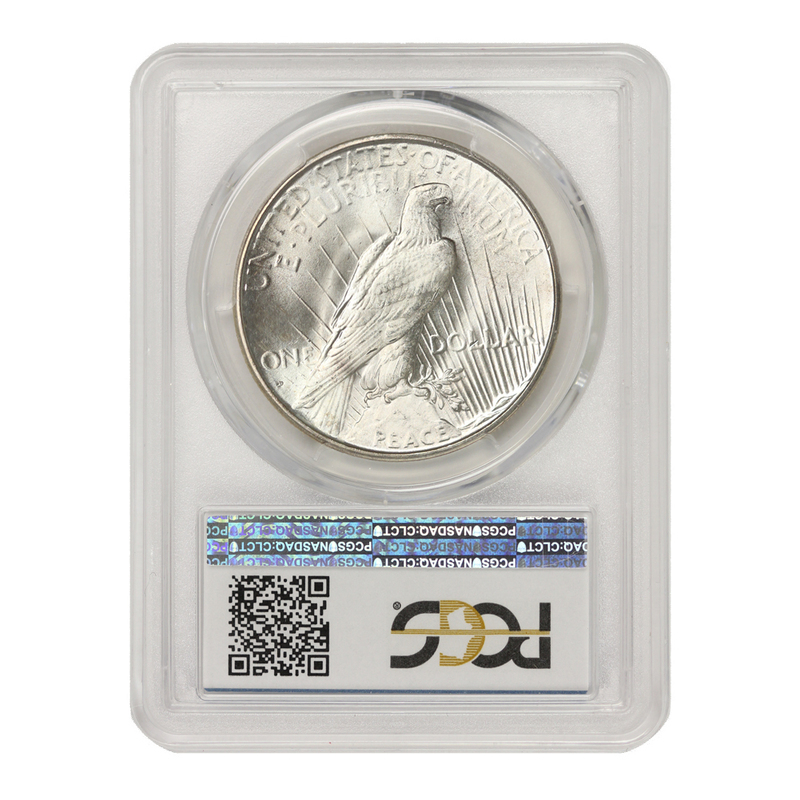 This Peace Dollar is a pleasure and would be a lovely addition for any collector. Current PCGS population shows ONLY 9 graded higher. This coin is also one of the CoinStats 'Best Values'. CoinStats is a quarterly statistical publication that identifies coins with the highest potential in price growth based on detailed analysis of population, value differential, and market capitalization. CoinStats is a valuable investment tool that helps collectors and investors maximize their return when selecting rare and investment coins.